The NEW RST Renegade Suspension fork will turn your ride into a great handling off road rocket! The Renegade is fat specific to fit your bike perfectly. Adding a suspension fork will increase traction, reduce the hard hits and get you more saddle time. The RST Renegade has 100mm of travel, clearance for up to 4.8" tires and air sprung with internal travel adjustment. Is this rst renegade build lot a complete fork? The RST Fork is a complete fork. You will need to adjust the stiffness to your weight after you install it however. Just to clarify this RST Renegade Build Kit is the whole fork? Ok, I'm gonna buy it. How long will it take to deliver? Depends on where you live. Few days usually. Does this require assembly or is shock complete? When either the RST or Bluto forks arrive, they will be completely assembled. They will obviously need to be adjusted to your weight and style. It is also possible that depending on your bike preference that you may want to cut the neck down a little. Does the RST come in a straight 1 1/8" steer tube? Good Question! Long story short: A tapered head tube increases the strength of the connection between the head tube and suspension fork (preventing the tube from cracking) as the shocks compress and expand. As a result... basically anything over 80mm that you can find will have a tapered tube. 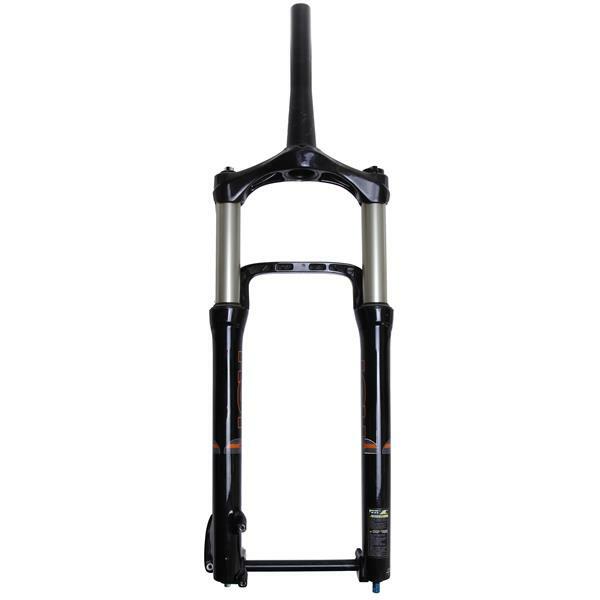 Neither the RST or the Rockshox Bluto have any plans for a fatbike stright head-tube fork. There is 1 that I located from a company in China, but what bike do you want to put it on? What terrain are you riding on most?